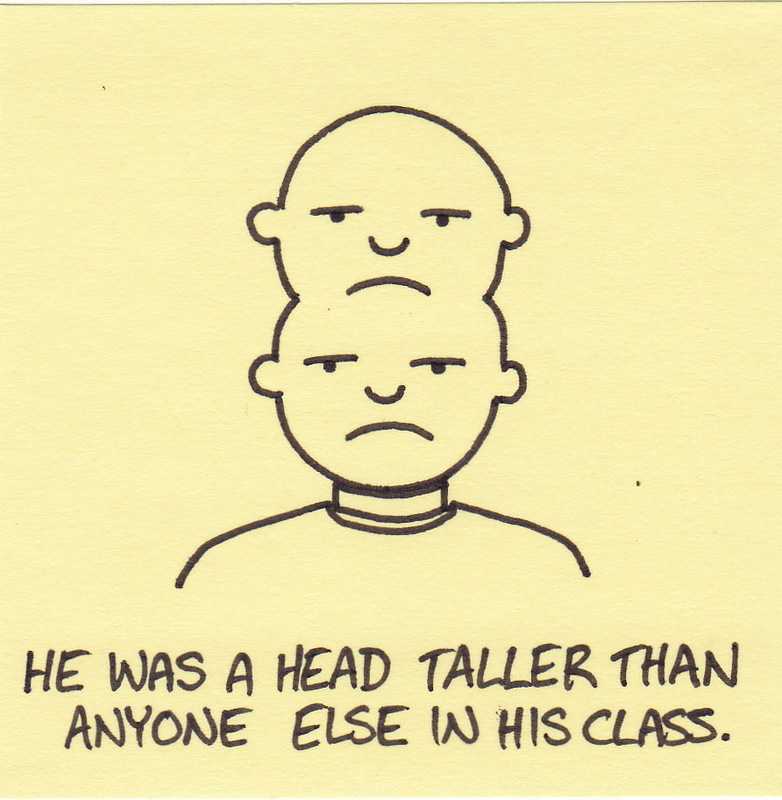 He suffers from male patterned baldness. Get it? Get it? 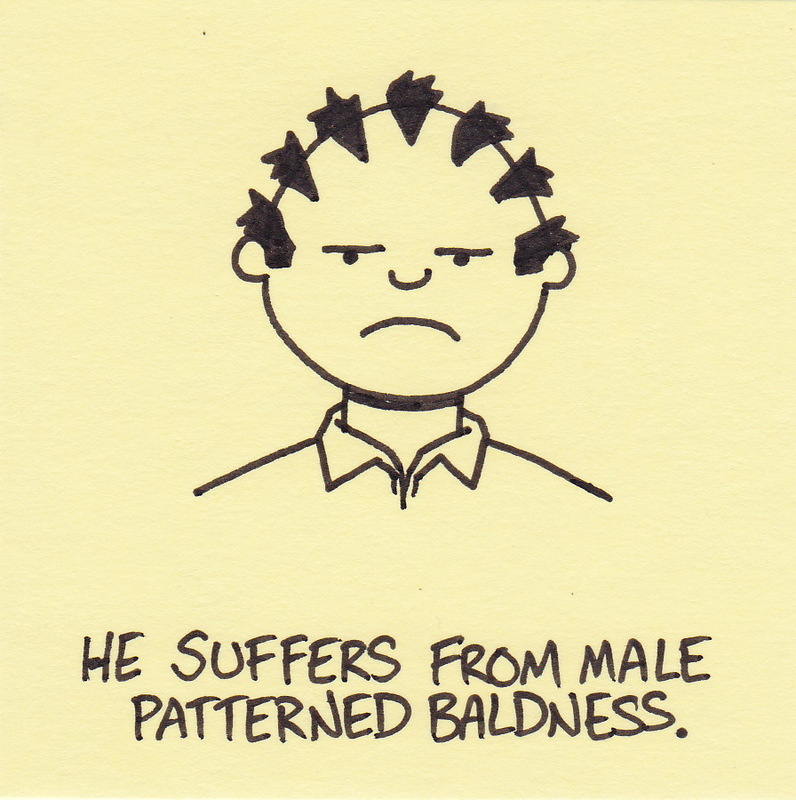 He has male patterned baldness… so the baldness is in a pattern… so… yeah. My daughter just asked, “why does he have duck feet on his head?” So if you didn’t get it, you’re not alone. 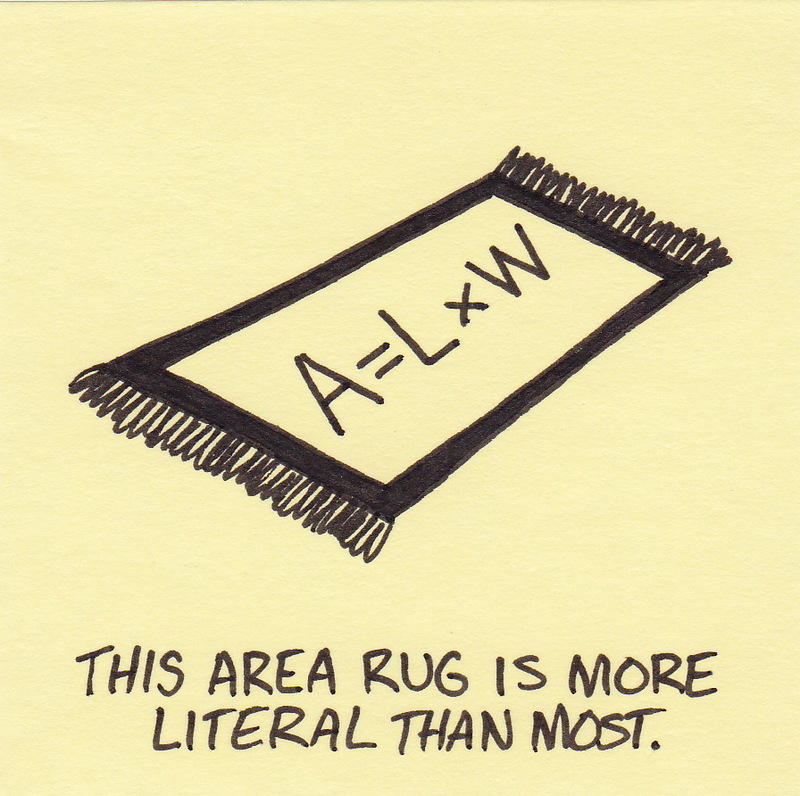 This area rug is more literal than most. The recession has gotten out of hand. When I first had the idea for this drawing I thought it was pretty funny. 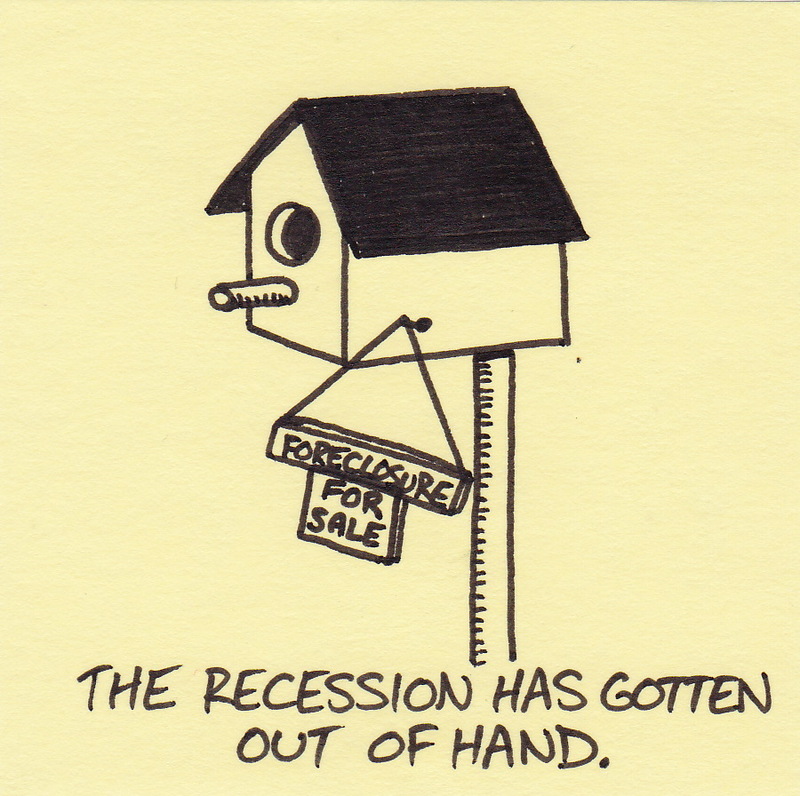 Then I thought about where the for sale/foreclosure sign would be placed (since birds don’t have lawns). Then I thought they wouldn’t really need a sign because they can’t read. Then I thought about where a bird would get money to buy a home. Then I thought that I was really just overthinking the whole thing. 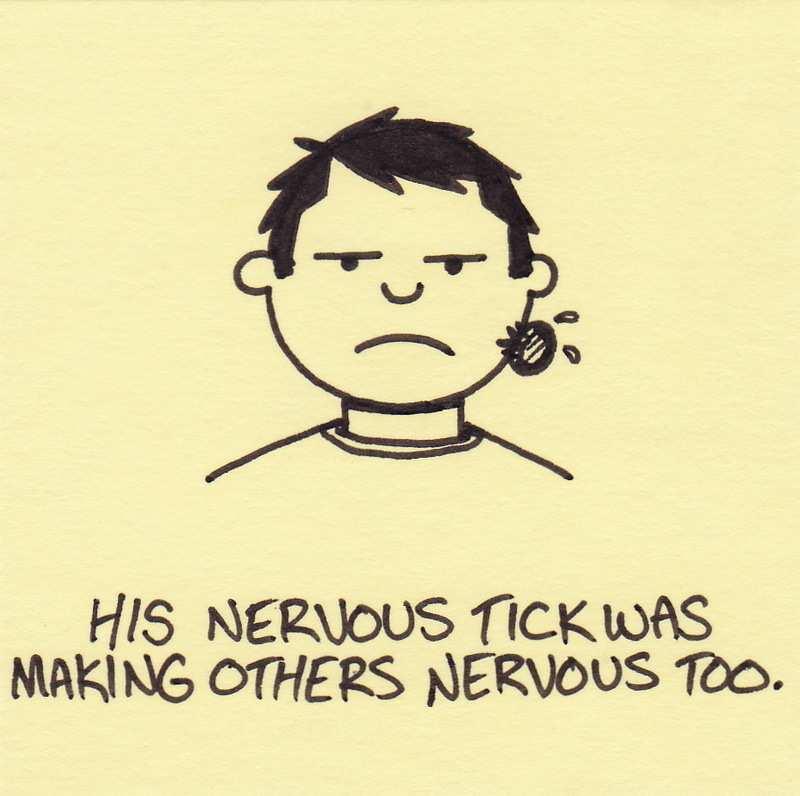 His nervous tick was making others nervous too. Our family lives in Alaska. One fact you may not know about Alaska is that we have no ticks. This is a good thing for many reasons – not the least of which is that my wife would probably never leave the house. 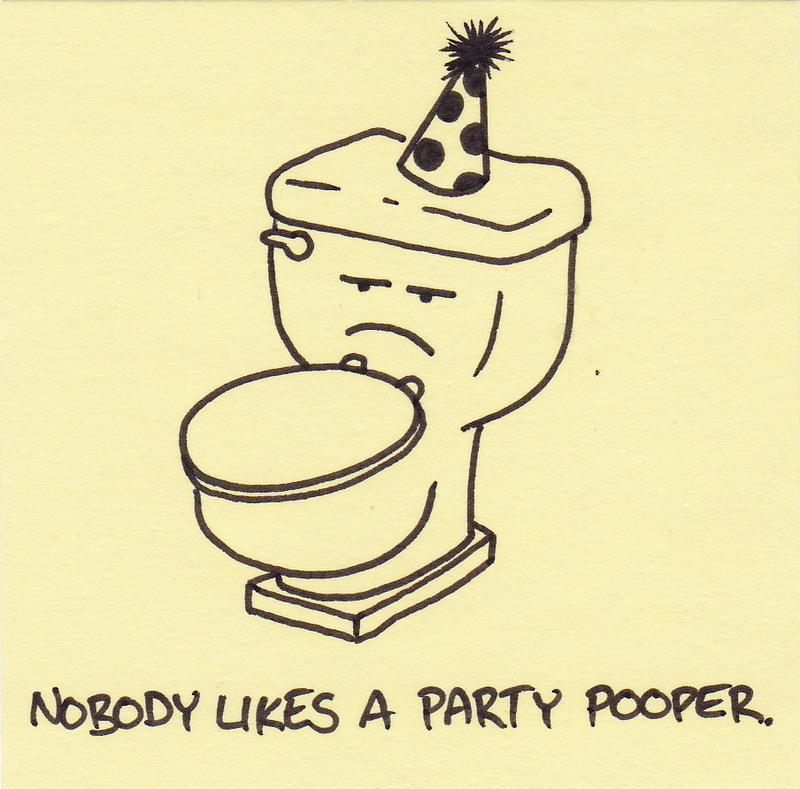 Nobody likes a party pooper. Credit for the original idea of this comic goes to my wife… whether she wants it or not. No. 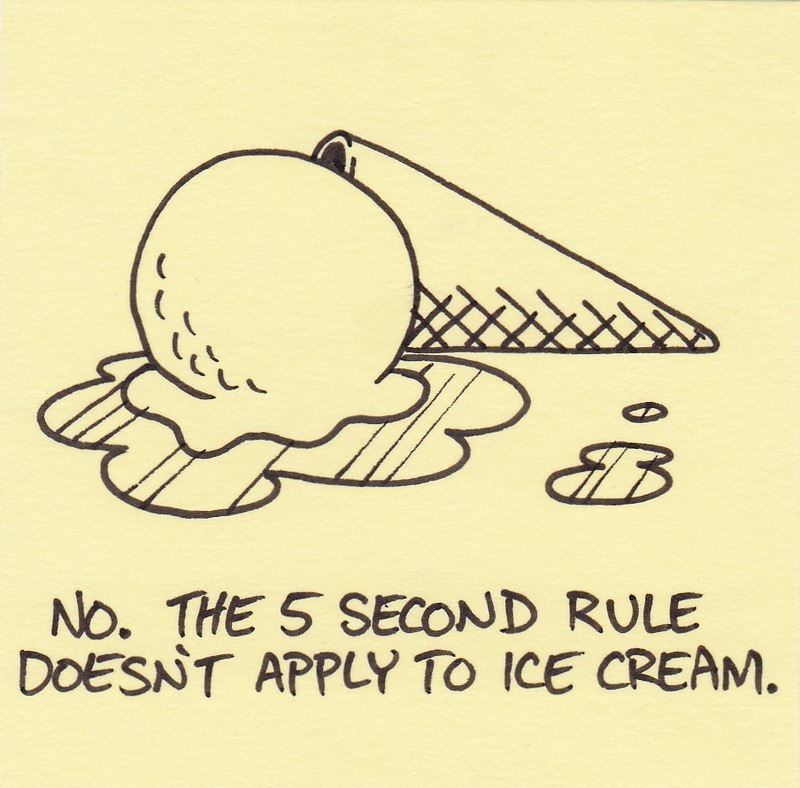 The 5 second rule doesn’t apply. Personally, the 5 second rule doesn’t apply to anything I eat. If I drop it, it’s dead to me. My daughters, on the other hand, subscribe to a completely different belief. The closest description I can think of is, “Finders Keepers.” Time never even enters the equation. I was so surprised/shocked that I didn’t say anything. My wife seemed similarly paralyzed. My daughter apparently saw our speechlessness and decided we must need clarification. I think it’s how we respond in moments like these that show our true parenting skills. Should I correct her for being unknowingly rude? Should I explain how the barber shop is a social setting as well as a place of business? Should I tell her to sit quietly with no explanation whatsoever? I stared at the wall and pretended they were all somebody else’s family. You are currently browsing the Inkjot blog archives for August, 2011.